When a machine is invented, metaphors follow. For instance, Jerónimo de Ayanz y Beaumont (1553 – 1613) invented a steam-powered water pump for draining mines. It was patented in 1606. One day it occurred to William Harvey that the heart is a pump, he published his findings in 1628. These dates from Wikipedia support what I’m saying – I’m going to trust Wikipedia on this one. I like machines and metaphors. 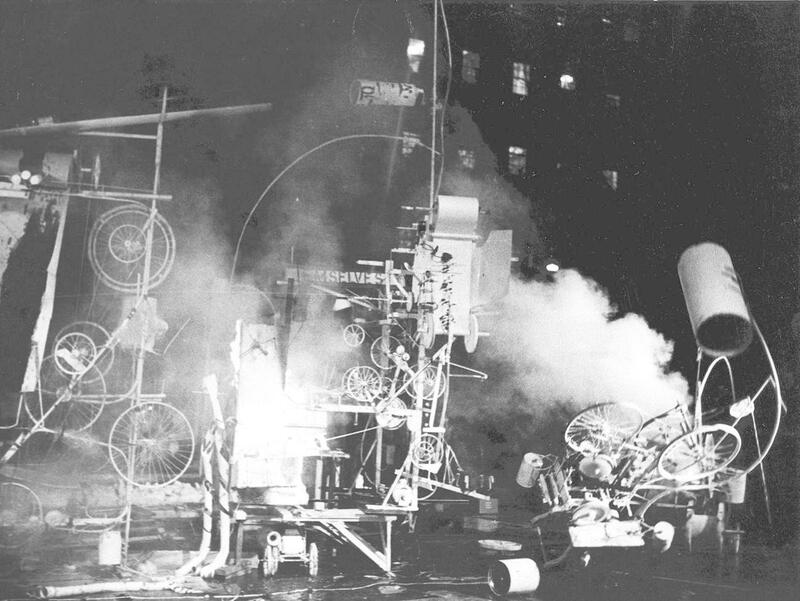 The image at the top is Jean Tinguely’s Homage to New York, 1960. It was a machine designed to destroy itself. Intentional futility is poignant, and if the futility suggests something about ourselves, I’d call it art. 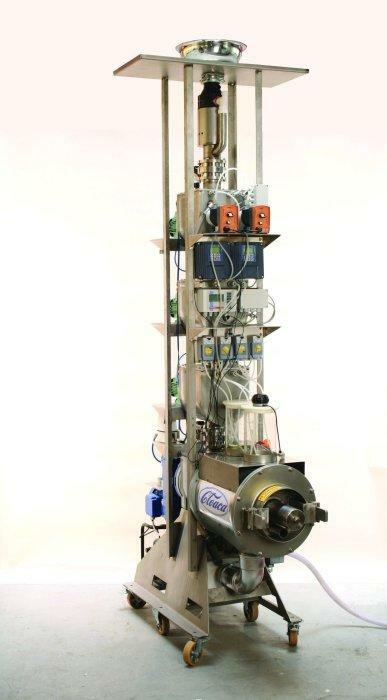 In the last couple of years, two other art machines have come to my attention. Both have Tinguely’s poignant futility. 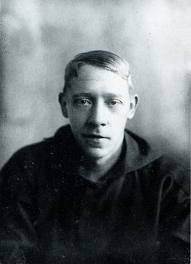 Arthur Ganson made a machine that consists of interconnected gears driven by an electric motor at 200 rpm with each of its twelve stages reducing speed and increasing torque by a factor of 50. 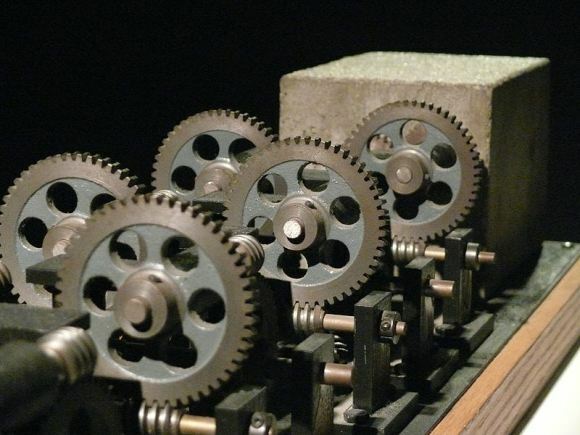 The final gear in the series is encased in concrete and will take two trillion years to make one rotation. The futility of all these examples is pretty obvious and I see them as metaphors of our hopes and bodily realities. 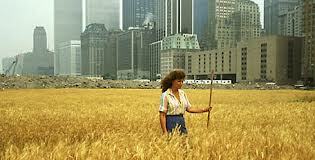 In 1982 Agnes Denes planted a field of wheat in the Battery Park landfill, New York. 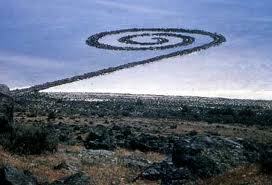 In 1970 Robert Smithson constructed Spiral Jetty on the shore of Great Salt Lake, near Rozel Point, Utah. It’s 1500 feet long and 15 feet wide. Oh what strange and wondrous things there are. 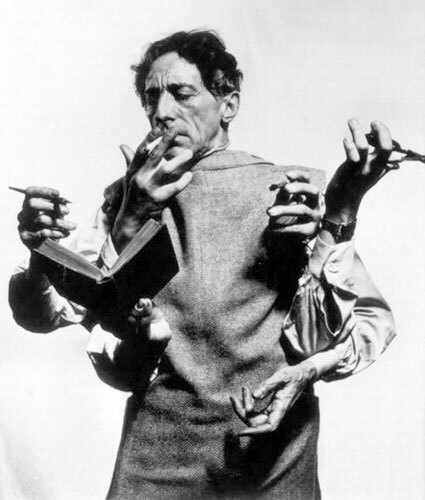 fn1 Jean Cocteau, The Art of Cinema, André Bernard and Claude Gauteur eds., Robin Buss trans., New York: Marion Boyars, 1992, “A Wonderful and Dangerous Weapon in a Poet’s Hands”, p. 31.
fn2 Filippo Tommaso Marinetti, Marinetti Selected Writings, R. W. Flint ed., R. W. Flint and A. A. Coppotelli trans., New York: Farrar, Straus and Giroux, 1972, “War, the World’s only Hygiene” (1911-1915), p. 90.
fn3 Vladimir Evgrafovich Tatlin, Tatlin, Larissa Alekseevna Zhadova ed., P. Filotas, M. Julian, E. Lockwood, D. Macknight, E Polgar, C. Wright trans., London: Thames and Hudson, 1988, “My answer to “Letter to the Futurists”” p. 185.
fn4 Tristan Tzara, Dada Almanach, Richard Huelsenbeck ed., M. Green, D. Wynand, T. Hale, B. Wright, A. Melville and S. Barnett trans., London: Atlas Press, 1993, “Dada Manifesto, 1918” p.127. PHOTO CREDITS: Cloaca from http://www.wimdelvoye.be/ ; Arthur Ganson’s machine from http://www.arthurganson.com/ ; Wheat field photo, Agnes Denes ; The photo of Cocteau looks like a Man Ray kind of thing. I wish I knew who to credit for the others. It’s easier to find things on the internet than it is to find out who created them when. If anyone has advice on this subject, it would be greatly appreciated. I’m a stickler for footnotes. 1. Redeems (almost Biblically) commodified objects to a context of personal value by way of laborious embellishment with gesso and paint. Late Capitalism’s colonization of the individual is reversed by the exercise of taste. 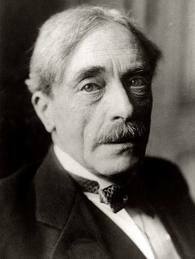 Artists must be earnest and diligent if they are to succeed in the great task of ideological intervention. We are not to be envied in this hard work. 2. Plays with the fundamental notion that a painting is a flat thing that offers a virtual, or apparent, volume. The boxes were not flat when I found them, but of course, they were flat at some earlier time on a factory floor somewhere, but this is irrelevant because the point is, they were designed to be folded and glued, or possibly stapled, and not be flat, and when most of us encounter them they aren’t flat, and we don’t generally understand them as being flat, but I made them flat and then I painted them to suggest illusory volumes of celestial proportions. 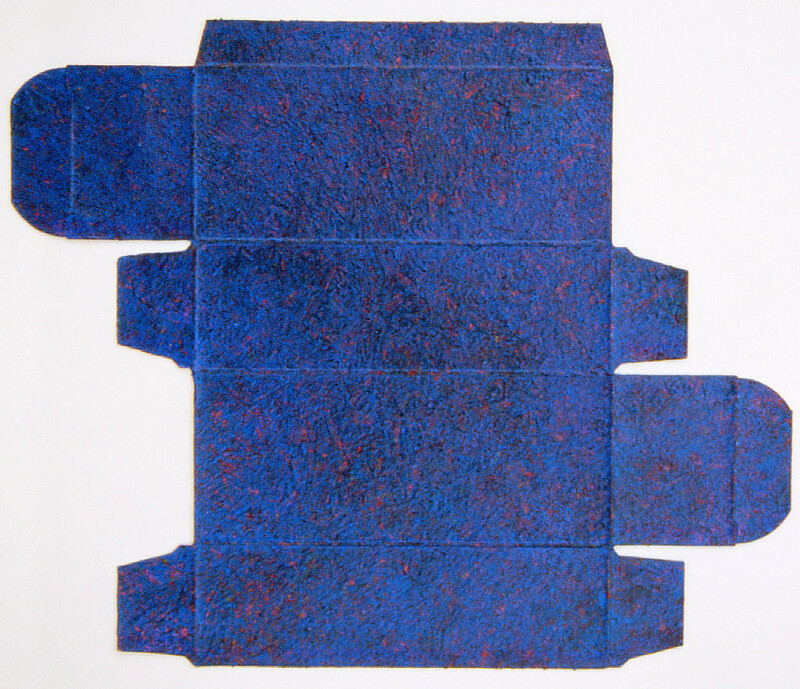 But, simultaneously, and contradictorily, these illusory volumes look like nothing more than paint on cardboard. These paintings demonstrate the letter of Clement Greenberg without the spirit, or the spirit without the letter, or perhaps neither, or even both. Moreover, they could equally be regarded as Minimalism deconstructed. There is a lonely grandeur in such subtleties. Originally published in Wegway No. 7, Fall 2004. *Roy Lichtenstein, “Interview with Philip Smith,” Arts Magazine (November 1977), p. 26. 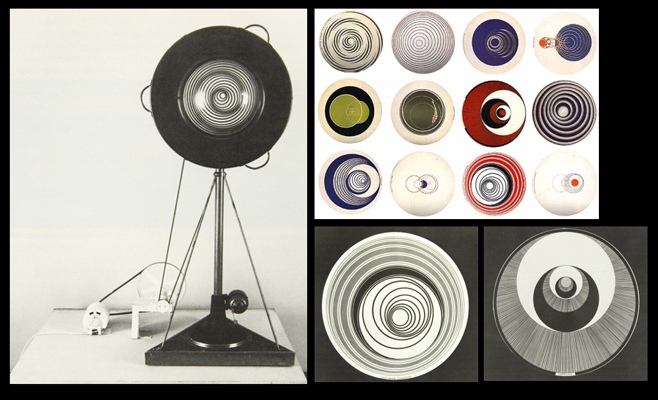 Marcel Duchamp made a number of Rotoreliefs by applying various patterns to discs and then rotating them with an electric motor. 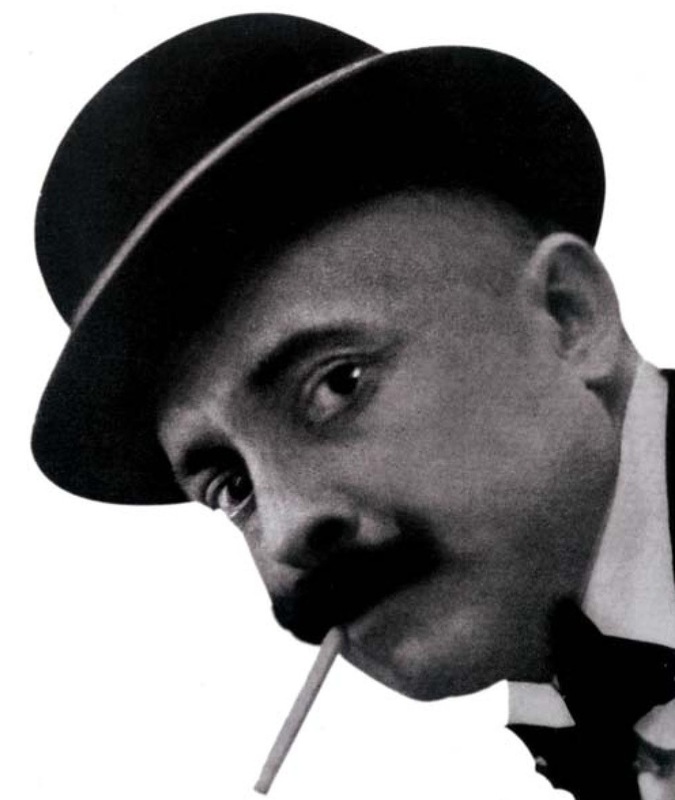 The film he made of them in 1926 was called Anemic Cinema and, just as the pieces themselves did, it successfully generated virtual sculptures through optical illusion. There are versions of this film in circulation on the internet, YouTube and Vimeo for instance, with a musical sound track added and there are also colour versions floating around. But the original was made in 1926, so it’s safe to say it’s a silent film. I found the added sound track distracting – three dimensionality suddenly popping up is more than stimulating enough on its own. Colour films of the works though, add to the effect. Why would he call it Anemic Cinema? I think this question gets to the heart of the matter. To answer it, the viewer needs to clarify an understanding of what sculpture is and what cinema is. Must sculpture actually be three dimensional, or would virtual three dimensionality suffice? A major theme in Duchamp’s work is to push viewers to define terms and make the necessary and sufficient conditions explicit. If a urinal can be art, then the question is “Why?”. Duchamp’s film refines the sculpture problem even further. Now there isn’t even a disc and a motor, but rather, an image of a disc that seems to rotate because of the presentation speed of progressive images, in other words, a movie. That’s about as virtual as a sculpture can get. But I think “anemic” relates strictly to film as opposed to sculpture. A film is a virtual event, non narrative and abstract films included. Michael Snow’s La Region Centrale, 1971, is a virtual event just as much as Gone with the Wind. I think that’s just what film is. The events you witness in a movie aren’t really happening, you just knowingly take them as real during the viewing. In 1926, an era before anyone thought of making a kinetic sculpture, an image of a sculpture would be static, just like an image of a painting, time is unnecessary, they’re not events. As an aside, I searched when Calder made his first mobiles and Wikipedia gives a date of 1932 plus the incidental information that Duchamp was the person who gave them that name. What we find is, Duchamp had a wry sense of humour. Anemic Cinema is a film of a sculpture that requires motion to generate a stable shape. It might as well be a still photograph but it can’t be. Anemic indeed.